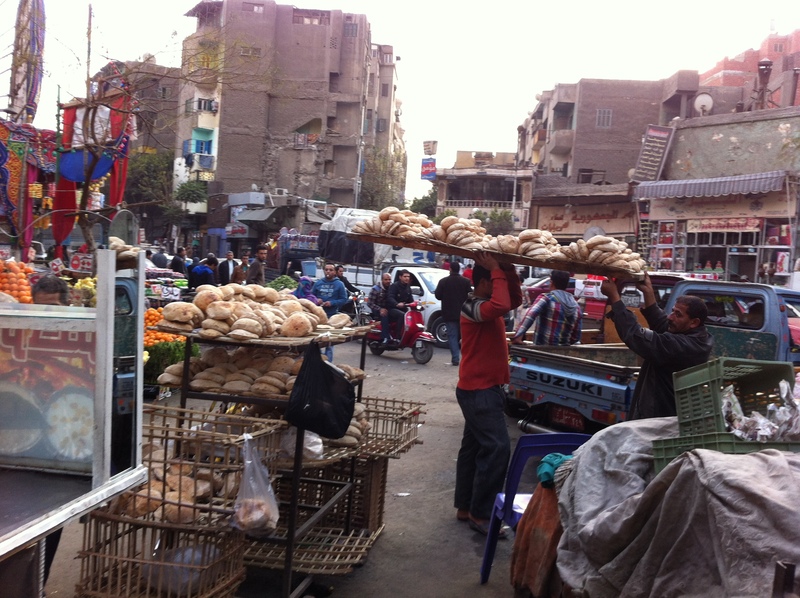 Cairo : exciting, fascinating, chaotic and daunting! Besides the pyramids and the Egyptian museum, it has so many interesting corners to explore… and get lost in! Try to have at least 4 days here to scratch below the surface and really feel the pulse of the place. Egyptians are some of the friendliest people on the planet and are only too happy to help you on your journey. You’ll need time out from all the intense history and sightseeing, so make your way to the Zamalek district for some well-deserved retail therapy and interesting little cafes. On Sharia 26 July you will find the Diwan Bookstore with a great selection of interesting books in English, CD’s, stationery, maps etc. They also have a little cafe area for coffee and a muffin. In the same area of Zamalek, there’s lots of nice little shops for souvenirs, tasteful trinkets and art galleries. Take a stroll around and see what you come across – I really like this block in Zamalek. I love Sharia Khayyamiya, in the medieval “tentmakers’ market” in the Khan el Khalili, just past Bab Zuweila. 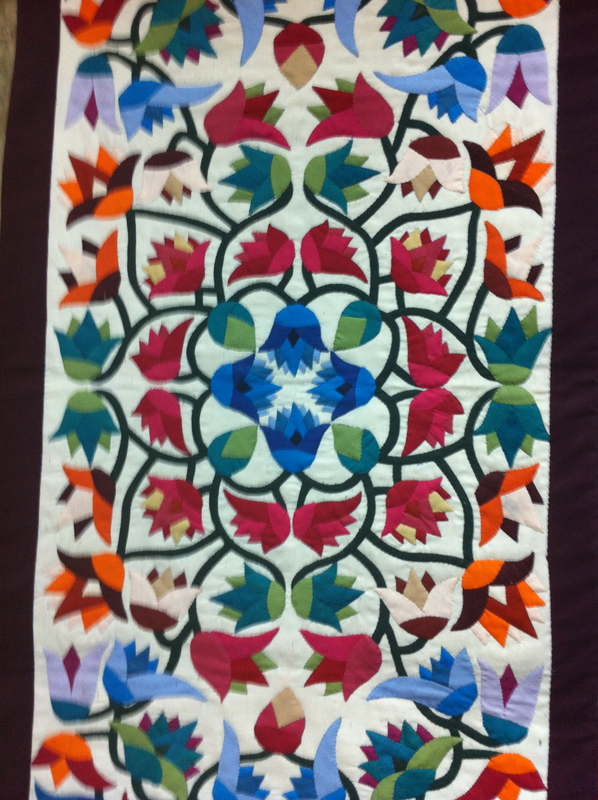 You’ll see the most amazing hand-sewn quilts here, not to mention beautiful and bright printed cloth used for ceremonial tents at wakes, weddings and feasts. Whether you sew or not, you’ll want some of this cloth! 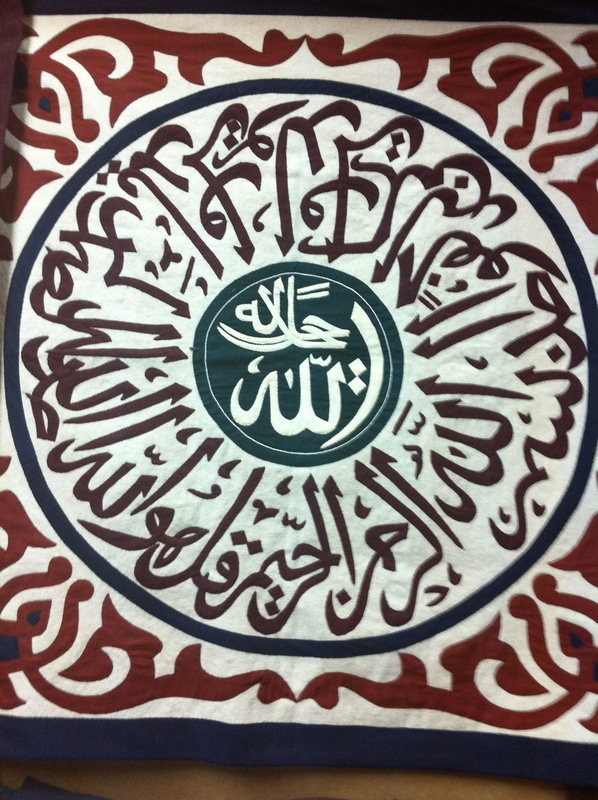 On Sharia Taalat Harb (Downtown), 1st Floor, Oum El Dounia is one of my favourite “souvenir shops” – it doesn’t sell ugly, tacky alabaster pyramids and marble camels, but rather locally–made tasteful handicrafts – like beautiful bags, handblown glass, clothes from local fabrics etc. If you want some quality gifts and souvenirs then head here. It’s fabulous! I like to head to Downtown for a variety of atmospheric cafes and traditional food. It’s right next to the Egyptian museum and Tahrir Square, so you can refill your tanks after the museum has sucked all your energy! I enjoy sitting in Cafe Riche. The waiters wear old-style uniforms, and it’s like an era gone by – used to be frequented by intellectuals and writers back in the day. Not cheap here though but there’s no hassle! Just south of the square on Sharia Talaat Harb, established in 1908. Don’t miss Fatatri on Shairia El Tahrir. The shop itself does not look that inviting, but the food is great. Cheap but fantastic savoury and sweet Egyptian-style pizza – nothing like Italian pizza, you just have to try one! 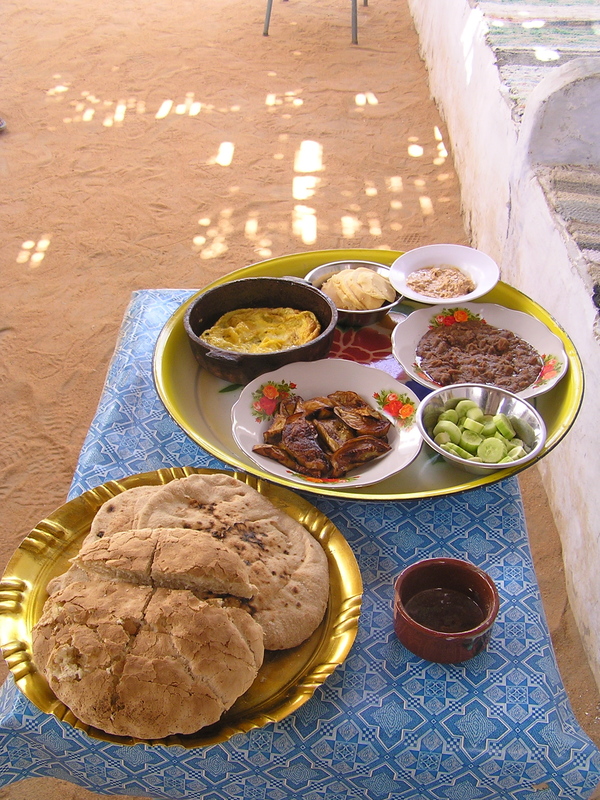 Felfela –15 Sharia Hoda Shaarawi – cheap, healthy Egyptian fast food, for those on a budget or eating on the run: for your fill of fuul (beans), falafel/taamiya (chickpea patties) sandwiches, or koshari (Egyptian style macaroni with sauce, onions, lentils). 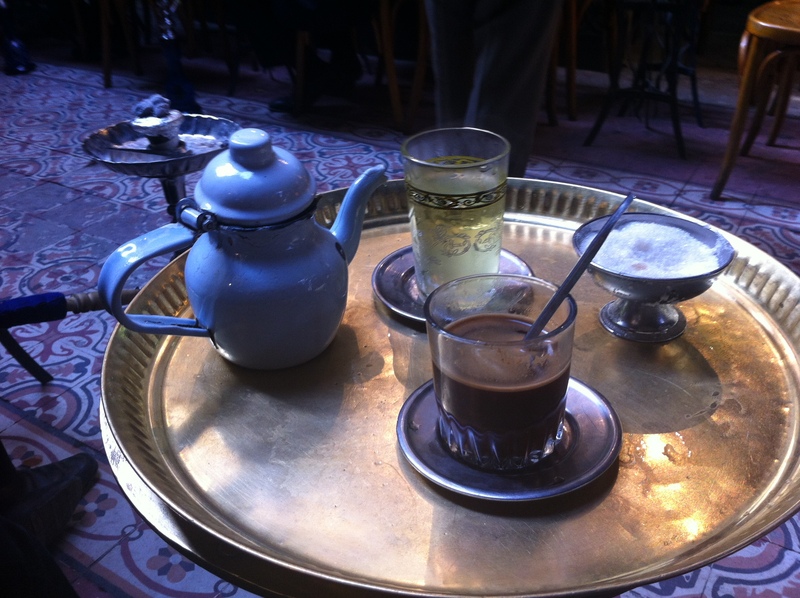 Arabaesque restaurant – for something a bit more classy, with an art deco atmosphere. 6 Qasr el-Nil. Try the stuffed pigeon, or maybe order a “mezze” (variety of hot and cold dishes). -Juice bars – walking along the streets, you will see little shops with fruit hanging in the doorway – these are juice bars. Order yourself a fresh juice to give yourself a shot of vitamins to keep you going on your quest to conquer Cairo! There are a couple of out-of-the-way places that I would REALLY recommend you visit. 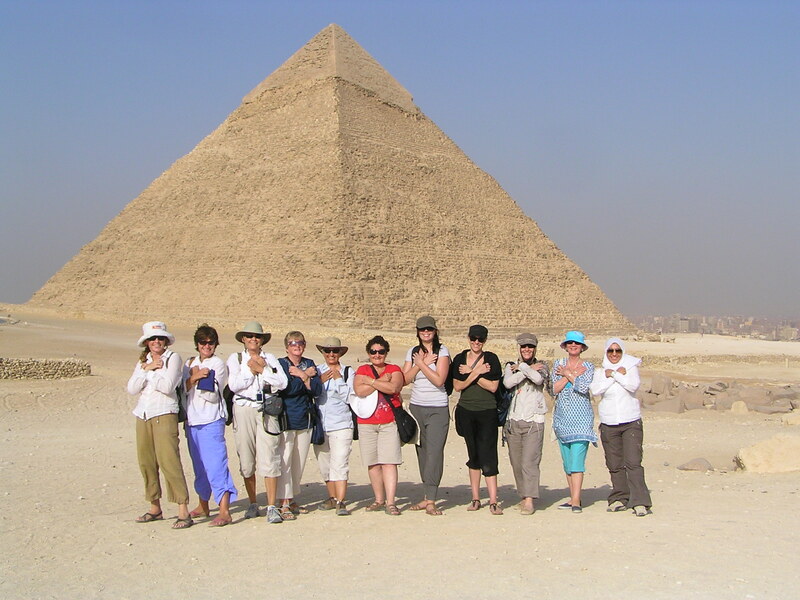 Egyptians would rather have you visit the “beautiful Cairo” – pyramids, museum etc. But there are some places that are like no other on earth and hugely interesting! The City of the Dead is a gianormous old cemetery where the living have moved into and amongst the old tombs. 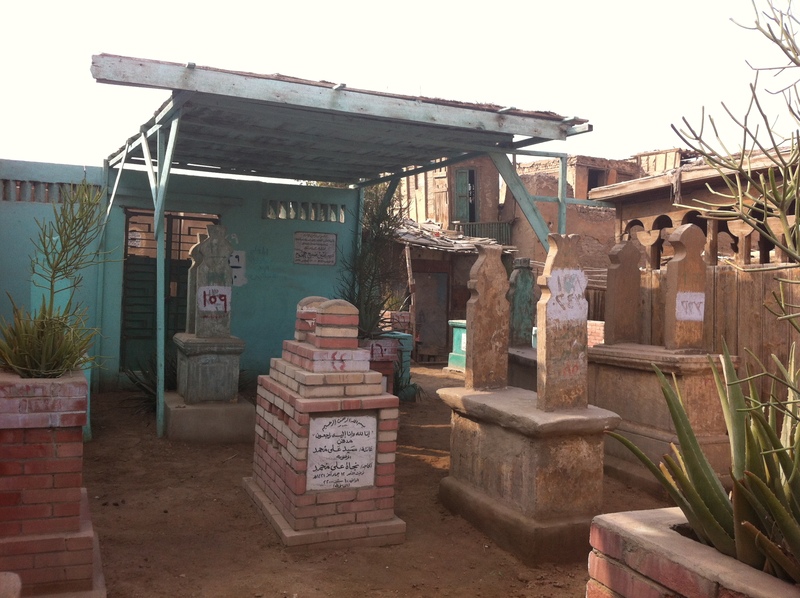 The cemetery has become a kind of shantytown, where the tombs and mausoleums have become homes for the poor – washing is strung between tombs, tomb-tops are used as tables, and satellite dishes straddle the family vaults. Since cars cannot drive in, it is a peaceful place to wander around; there is even a post office. Although there are many entrances, the easiest way to the northern cemetery is walking east from Midan al-Hussein along Sharia al-Azhar. At Sharia Salah Salem, cross via the overpass. 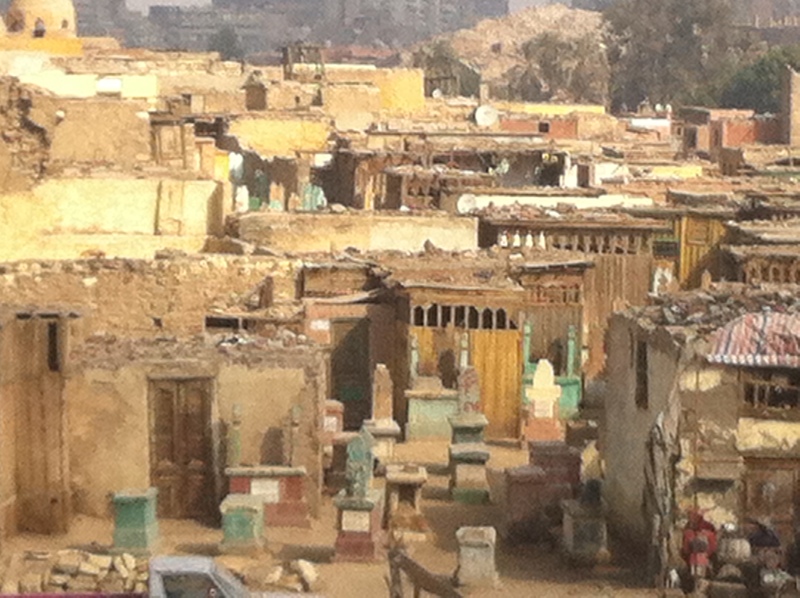 Remember, this is not only a residential neighbourhood, it is also a cemetry, so be respectful and discreet when walking around amongst the tombs and taking pictures. The garbage collectors of Cairo are known as “zabbaleen” (http://en.wikipedia.org/wiki/Zabbaleen), and they are born into the “tradition” of rubbish-collecting. They are the worlds most amazing recyclers and their story is fascinating. Their whole neighbourhood is one big recycling hive of activity! The zabbaleen are Coptic Christians, and their district is at the base of the Muqattam Hills. Take a taxi to the impressive Church of St Simeon, set in a natural rock ampitheatre – you will be amazed! Driving through the zabbaleen district will give you a quick insight into the lives of the zabbaleen and all the recycling that they do. At the top of this district, hovering over Cairo, this huge, amazing outdoor church has an overhanging rock ceiling, and is ringed with biblical scenes carved into the rock. There are also several old hermit caves also used as churches. Check it out for something completely different! -Don’t be afraid to take the Metro, it’s a piece of cake! Only LE1 one-way, it is cheap and convenient. Use the women’s carriage, just for the ladies – look for the “Ladies Only” sign on the platform and wait there for the train to pull in. – always take WHITE metered taxis – unless you know exactly where you’re going and the price, then you can haggle with the driver of a black & yellow taxi. If you get stuck in traffic you should tip the driver a bit more for his “wasted” time. Expect at least one taxi ride from hell! Quite often they’ll not know where you want to go and will set off regardless. The good thing is, they will ask people in other cars or on the street for directions. But be patient! -Be prepared to be stared at by the men. There are always 5 or 6 men sitting around building entrances. They work as security guards, doormen or parking attendants … or whatever! Learn to not notice them! -Dress conservatively. Cover your shoulders, wear long sleeves, long pants or skirts below the knee are best. You do not need any more attention than you are already going to get as a female and a tourist. -Change is hard to come by, when you get some hoard it for when you need it. Keep small coins and bills (E£5 and under) for change and tips. You will need to tip often – Egyptians earn very little – look it as your way of making someone’s life a little better, rather than just as a payment for service. -Con-men, touts, cling-ons, call them what you like, these are sticky people who want to waste your time in order try to get $ out of you in some way. They have well-rehearsed stories, and often say they are “teachers”or some other respected profession. They are so convincing you often believe them, but if you met them in a tourist area, eg Midan Talaat Harb, the Egyptian Museum, Khan al-Khalili – then they are bound to be phoney. Brush them off politely saying you are busy, before they stick to you. They appear out of nowhere and often help you with something before “sticking”. You don’t need to tell anyone where you are going or what you are doing, just say you “wish to be left alone and NOT hassled and please respect that”. Usually they will leave you alone, be polite but firm with them to get rid of them. Fortunately in Egypt, for every annoying incident, you will experience 10 acts of kindness. -Ditch your guidebook and get lost amongst the streets. There are so many interesting buildings and street scenes, you won’t be bored. And you can get a taxi home from anywhere, they are so affordable! 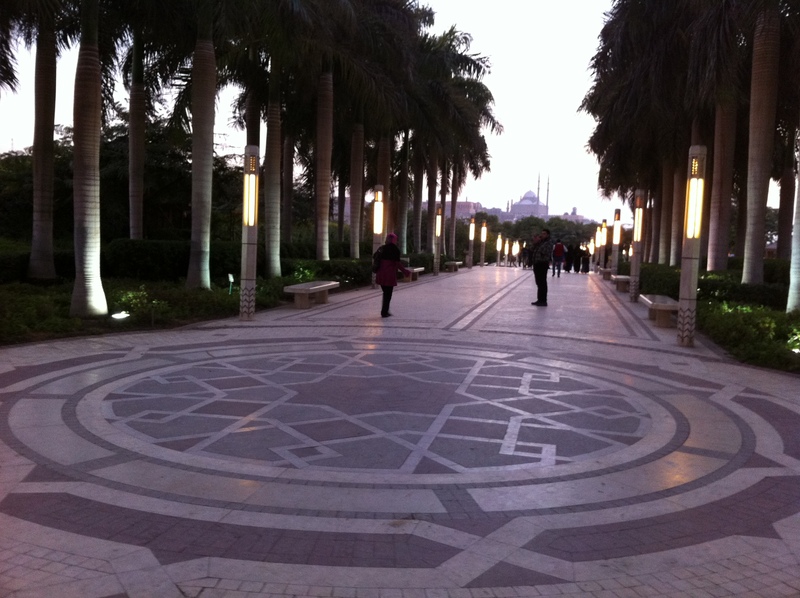 AL Azhar Park – finally…when you are absolutely shattered, head here for some peace and tranquility in this beautifully designed Arabesque park, any time of the day or evening. There are cafes and restaurants and it really is a nice place to see the sunset too.